The longan is a fruit-bearing tree that is native to souther China, and grows between elevations of 150 – 140 metres above sea level. It is also commonly called “dragon eyes”, as this its literal translation from Hokkien (Amoy). It is called because when the fruit is shelled, it looks like an eyeball as the black seed shows through the transluscent flesh like a pupil. 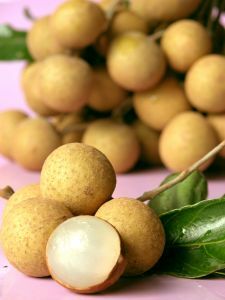 It is also known as the “little brother of the lychee” or “slave of the lychee”, as the lychee is more ‘glamorous’ than the longan. 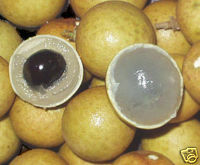 The longan was introduced into Florida in 1903 by the USDA. However, it never became popular. Longan trees were also planted in many other places such as Bermuda, Puerto Rico, Cuba, and Hawaii. It is also widely grown in South and Southeast Asia. The longan tree can grow up to 9 to 12 metres in height, and 14 metres in width.. The trunk of this tree has rough bark. The longan tree is evergreen ,and it sleaves are about 10 to 20 cm long and 3.5 to 5 cm wide. The leaves are a glossy green and feel almost leathery. The upper surface of the leaf actually is slightly hairy. The flowers of this tree are pale yellow in colour, have 5-6 petals, and have lots of stalks which are actually larger than the lychee’s flowers. The fruit droops in clusters, and are round. They are about 1.24 – 2.5 cm in diameter, with a light red-brown or yellow-brown rind. It has a pebbled skin, and transluscent flesh. The seed is round and black, with a circular white spot at the bottom so it almost looks like an eye. The smell of the fruit’s flesh is musky and sweet, but not as sweet as the lychee. In China, the longan tree is grown on the edge of raised beds in the lowland. In higher ground, they are put into pre-enriched holes on the surface. The trees are then fertilised after the fruits have been harvested, as well as during the blooming season when extra nitrogen is required. 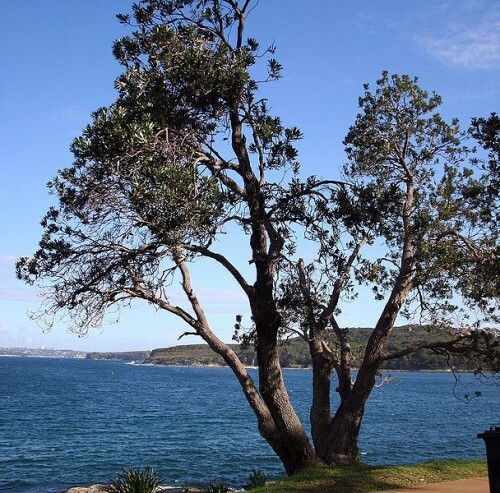 This tree also requires a good supply of water and can stand brief floodings but not a prolonged drought so irrigation is required during these dry spells. This tree is also relatively disease and pest free, and only suffers from mineral deficiency which can be easliy corrected. It is also called "Dragon Eye"
During room temperature, longans can remain in excellent condition for a few days. This is because it has a firmer rind than the lychee, and therefore is less perishable. Tests conducted in Florida have concluded that the longan fruit can be frozen, and will not break down as quickly as it’s “older brother” when it is thawed. You can eat longans fresh, and in your hand without using any utensils to try and open up the rind. The fruits can also be cooked, canned in a syrup, or dried. Canned longans can be easily found in any good oriental store around the world. Some people also dry the longan in order to infuse it with drinks. If the longan flesh is macerated in alcohol, a liqueur can be made. 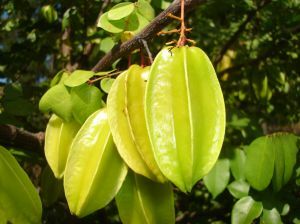 It is also used for medicinal purposes (more so than the lychee) for things such snakebite poison antidote, a tonic and treatment for neurasthenic neurosis and insomnia, and more.